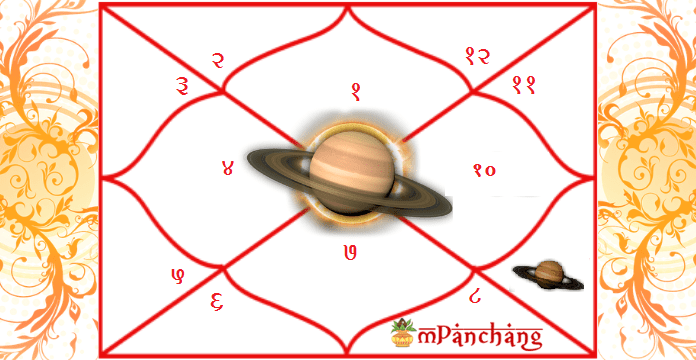 Saturn in the 9th House of the Kundli Chart – How it affects? 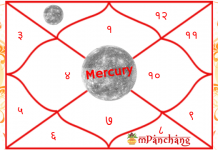 How does the position of Saturn in the 9th House Of Kundali affect Our Life? Have you heard about the ill effects of Planet Saturn? Planet Saturn, also called as Shani, is believed to impact the lives of the native in numerous ways, good as well as bad. The same continues when Saturn is placed in the 9th House, for example Saturn in 9th house effects marriage prospects also. People who have Saturn in the 9th house of their Horoscope will reach epitome in the field of training and education. They possess a strong philosophical personality, are highly mature with a practical approach and are spiritual, as well. 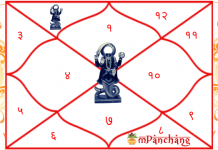 People with the Saturn in 9th House in their Janam Kundali are quite stubborn with their ideology, and they are not at all flexible to change their methods. This is why such people come across as those who are somewhat traditional and orthodox. What is the position of Saturn in your horoscope? At mPanchang, you can get your Free Janam Kundali Reading and take advice from our expert astrologers. The natives with the Saturn in 9th house of their Horoscope chart do not adapt to the changes around them and won’t change their thoughts and ideologies for the world. They can be quite aggressive and rude at certain times and places. The natives who have Shani in 9th House can achieve a lot more success if they can mold themselves according to the situation. But, if they don’t do it, then they should be ready to face the troubles in their life. The Saturn in 9th house will let the native enjoy 3 houses, and they would live a very happy and long life. See Also: Can Kundali predict love Marriage? These people are poised to attain success in the areas of civil engineering and as a tour operator. Also, such people should keep their children and two more generations near to them because it is believed to reduce the ill effect of the Saturn and the natives should be very helpful. Also, there is a chance that such natives will be blessed with a boy quiet late in their life. Such natives will enjoy fortune, religious activities, and every worldly pleasure. They would like to live in solace and would love to stay the same. The money will come to them without any effort and shower them with all the good things in life. The Saturn in 9th House will be the biggest roadblock for the fortune of the native. All important work, projects, etc. will be postponed. The children will be born after a long wait. Also, if you lend your money to someone, then you may have to wait for really long to get back your money and chances are you might not even get it back. Worship Lord Shani with utmost devotion and you will see the ill-effects of this planets reducing gradually. Perform Shani-Puja to get the desired results. It is important that you regularly pray to Lord Saturn. Wear The Katela which is a gemstone of Saturn. Refrain from drinking alcohol and eating non-vegetarian food. Offer food to horse, crow and black buffalo on Saturdays. Also, Hanuman Chalisa should be recited daily, and Lord Hanuman should be worshipped. Visit Shani Temple every Saturday. The position of Saturn in any house in one’s Janam Kundali affect the native’s life in one way or the other. Know the effects of Saturn in the 10th house on your life and your future and get the detailed analysis of your Janam Kundali. Previous articleCan Kundali predict love Marriage? 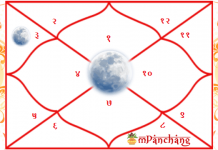 Next articleWhich Planetary Positions in Your Kundali Can Make You Rich?